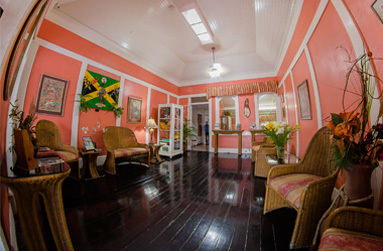 Indies Hotel offers the absolute perfect way for each and every person to enjoy the unique and magical warmth of Jamaica. Are you ready for having some amazing fun with your whole family or friends’ gang? Our incredible resort is sure to make your holiday the best in Jamaica. Start planning your dream vacation now. 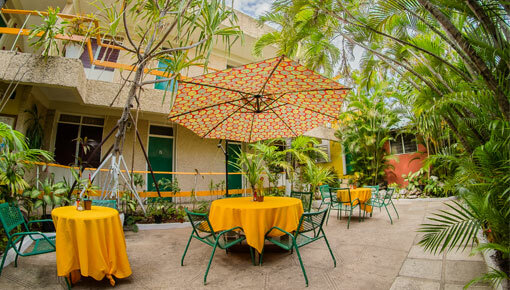 The Indies Hotel is a small family-type resort, your “Home away from Home”. We have the ideal location in the heart of New Kingston, near to major districts, shopping plazas, banks and cinemas. We are close to the Bob Marley Museum, the Emancipation Park and other places of interest. We have fifteen (15) air-conditioned rooms, which are divided into two (2) wings on two storey buildings, overlooking our garden patio. Simply relax and enjoy the view. 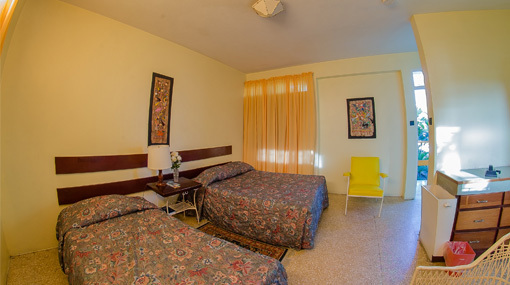 Each room is equipped with a telephone, cable television and a safe box (on rental). All rooms have private baths with hot and cold water. At Indies, we cater to our business clients and other vacationers by offering Internet facilities, so you can still be in touch while you are “Home away from Home”. 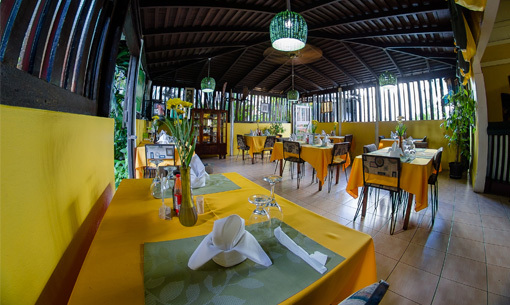 The Indies Hotel has one (1) main dining room, which offers international and local cuisine serving breakfast, lunch and dinner. We are famous for our Indies Pizza and English Style Fish and Chips. Whether you are looking for a perfect wedding venue or planning to organise a small function, meeting or any other gathering, our garden patio can easily accommodate your event needs. The beautiful setting, attentive staff and a great variety of menu options together make Indies Hotel the perfect venue for a successful and unforgettable event. The Garden Patio, which hosts thirty (30) to forty (40) guests, is famous for its garden weddings, small functions, meetings and other gatherings. Come & enjoy the soothing sound of the fishpond.